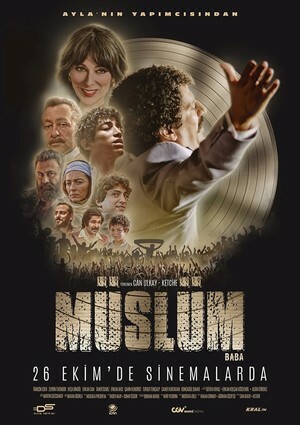 The movie “Müslüm,” which follows the life of prominent Turkish arabesque and folk singer Müslüm Gürses, became the most viewed film in Turkish movie theaters of 2018, selling over 5 million tickets within a month of its release. Directed by Can Ulkay and Hakan Kırvavaç, known best by his nickname “Ketche,” the movie sold 5,056,000 tickets as of Nov. 28, after its release on Oct. 26, surpassing the 4,968,462 tickets sold for Arif v 2016, written by and starring the famous Turkish comedian and producer Cem Yılmaz. Müslüm has raked in a total revenue of 67 million Turkish liras ($12.75 million), according to box office statistics. The movie was written by prominent Turkish writer Hakan Günday and Gürhan Özçiftçi. The director of cinematography is Martin Szecsanov and the mounting of the movie belongs to Mustafa Presheva. The actor who portrays Müslüm Gürses as a child is played by Şahin Kendirci while his adult character is played by Timuçin Esen. Prominent actors Zerrin Tekindor, Ayça Bingöl, Erkan Can, Taner Ölmez, Erkan Avcı, Turgut Tuncalp and Caner Kurtaran are among the cast of the movie. Born on May 7, 1953, in southeastern Turkey’s Şanlıurfa province, Müslüm Gürses (Akbaş) was known for his Eastern-style music, focusing on arabesque and folk rhythms. At the height of his career, he became an icon, and even a legend for many in the lowest ranks of the society, and was commonly called “Müslüm Baba,” meaning Father Müslüm. 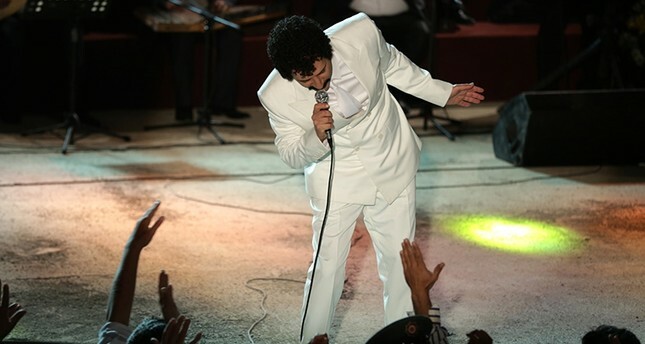 His mass concerts attended by thousands of young men – often associated with footages of self-harm and drug use – became a sensation in Turkey in the 1990s. Later in his career, Gürses also embraced Western traditions and even released an album of covers of well-known Western pop songs featuring duets with pop and rock figures. He died on March 3, 2013, and his funeral ceremony in Istanbul was attended by thousands of fans.